At the Y, we understand that learning doesn’t end when the school bell rings. The way your children spend their time outside of the classroom makes a big difference in their personal development and your family-life balance. The Y’s before and after school Kid Zone program provides a safe place for children to keep their mind and body active while learning social skills and positive values. At the heart of the Y’s Kid Zone program, you’ll find our dedicated before and after school care team. Every day, this amazing group of Y professionals make a difference in the lives of young people. To celebrate our before and after school care teams, the Greater Joliet Area YMCA is participating in Afterschool Professionals Appreciation Week. Beginning Monday, April 22 through Friday, April 26, the Y will be devoting time to recognize and appreciate our before and after school care staff. Give a hand-written note from you or your child to the before and after school care professional in your family’s life. Send an email to a before or after school care professional’s supervisor describing why that person is appreciated. As a reminder, Kid Zone registration for the 2019-2020 school year is underway! And, families who register for Kid Zone by Monday, April 29 will pay a $0 registration fee—a savings of $45. To learn more about the Y’s Kid Zone program, visit www.jolietymca.org or speak with your local Y’s Before and After School Care Director during your next visit. Summer camp at the Y is all about having new experiences and creating memories and friendships that will last a lifetime. Each camp season, camp participants embark on exciting adventures, learn new skills and develop a sense of community with fellow Y camp participants. And, at the heart of the Morris Community Y’s tight-knit group of campers you’ll find Youth and Family Director Sarah Porzel. Porzel’s journey at the Y started during her college career at St. Ambrose University in Iowa. While finishing her degree in physical education, she took an internship at the Davenport YMCA. During her internship, she discovered a passion for helping children while working in the Y’s Before and After School program. 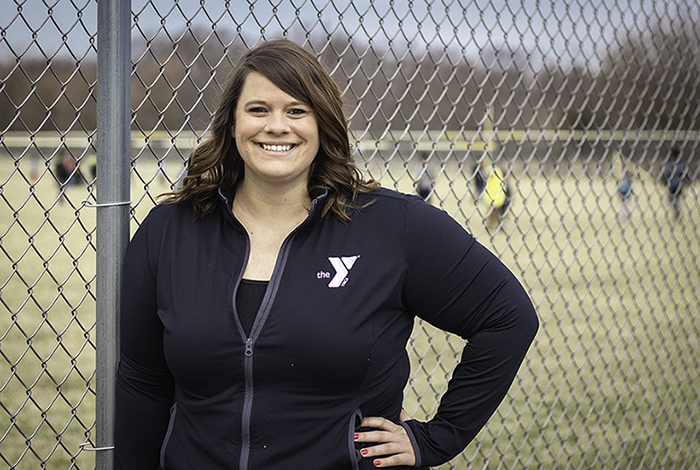 Upon earning her college degree, Porzel moved back to Illinois and pursued her passion at a local YMCA in LaGrange. In her 11-year Y career, Porzel has spent most of her time working with youth and families. 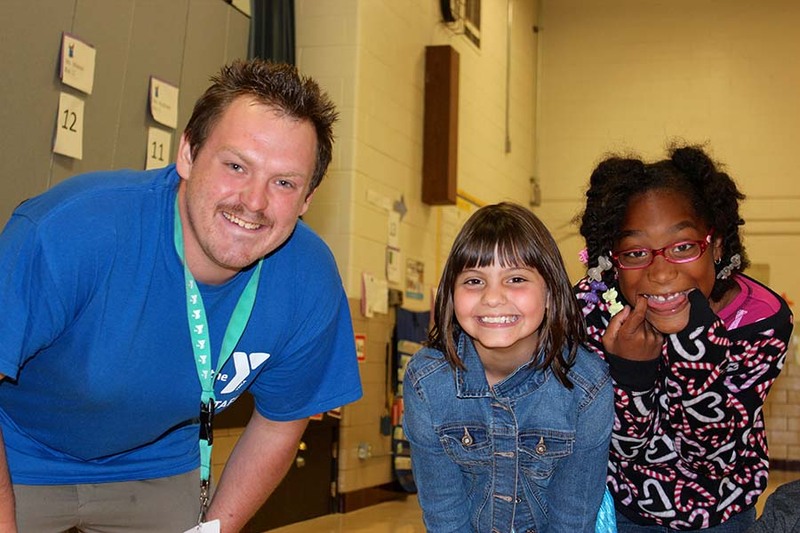 Since joining the Greater Joliet Area Y team in 2011, Porzel has spearheaded countless programs in Plainfield and Morris, including the Morris Y’s summer day camp program, which will kick off its 13th year on June 3. Porzel: I grew up in Homer Glen, IL and I attended Lockport High School, where I played softball. After high school, I attended St. Ambrose University on a softball scholarship and studied physical education/parks and recreation. After graduating from college, I served as the pitching coach for the softball team at Trinity Christian College. Now, I live in Naperville, IL. Porzel: Definitely helping kids. To me, the Y is a safe and comfortable place for children, so I like to be positive and build a connection with each of the kids in our programs—including getting to know each of them by name. Porzel: I love to spend time with my family, especially with my niece and nephews. I can do anything with them and have a good time! Q: With summer camp right around the corner, what exciting activities do you have planned? Porzel: We have a lot of new and returning activities planned this summer, including our beloved touch-a-tractor event, a field trip to Sci-Tech and planting vegetables in our raised bed gardens, which will help to teach our camp participants all about healthy eating habits. Q: What makes YMCA camp different from other summer day camps? Porzel: Our staff and the sense of community. We have a lot of returning summer camp staff and I make sure all of our staff receives an extensive amount of training to help give our camp participants the best summer ever. We also have a ton of support from our community, which helps make a lot of what we do possible. Q: What is your summer day camp philosophy? Porzel: Kids can come to camp, be themselves and explore new opportunities in a safe environment. Porzel: I enjoy going to country concerts and spending as much time outdoors with family and friends. Registration for summer day camp is underway! If you have questions about youth and family programs, YMCA family events or summer day camp, be sure to stop by Porzel’s office the next time you visit the Morris Community YMCA. Or, you can email Porzel directly at [email protected]. Spring is finally here, which means the end of the school year is right around the corner. And, as the school year winds down, you may find yourself thinking about the longest, impending break in the academic year—summer. If you’re looking for a fun, safe place to send your children this summer, consider enrolling them in YMCA summer camp. Summer camp is a great way for children to make friends and have a blast trying new things. Y camp offers children in grades K-8 the opportunity to participate in activities they may have never experienced before. From STEAM (Science, Technology, Engineering, Art and Math) activities to gardening and everything in between, camp participants have the chance to explore and learn new skills through adventure-filled experiences. Did you know the Y offers specialty camps? With help from the Grundy Area Vocational Center (GAVC), the Morris Community YMCA offers children in grades 5-9 a variety of specialty camps that focus on agriculture, automotive repair skills, computer maintenance, graphic design and cooking. These exciting camps will be held on the GAVC campus located adjacent to Morris High School. And, the C.W. Avery Family YMCA in downtown Plainfield offers children, ages 6-10, a wide variety of specialty camps focused on arts, LEGO Adventures, gardening and so much more! Throughout the summer, children can continue to discover and grow their independence. 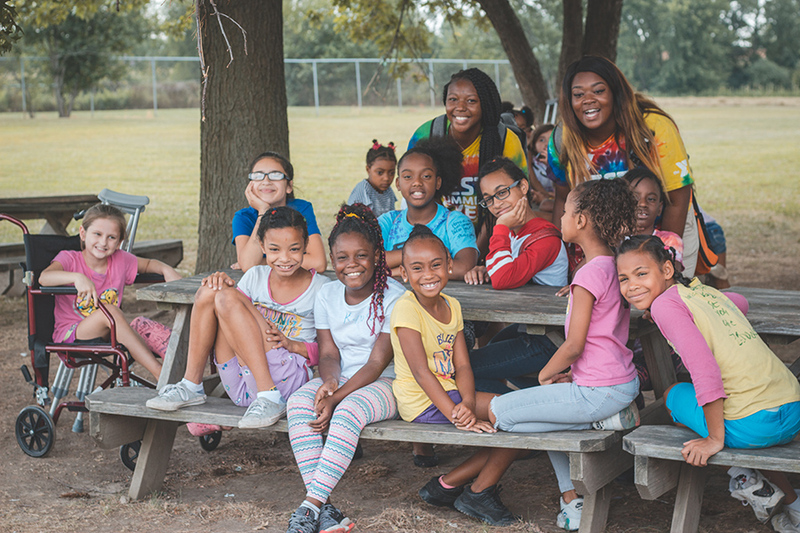 The summer camp environment gives children the opportunity to understand the thought process behind making good decisions for themselves with the help of our dedicated YMCA staff. Camp participants are able to build their self-confidence by setting and achieving milestones through the many activities at Y camp. From trying a new sport to creating their first work of art, your child can learn the importance of hard work and success. YMCA summer camp encourages participants to practice healthy eating and physical activity habits. 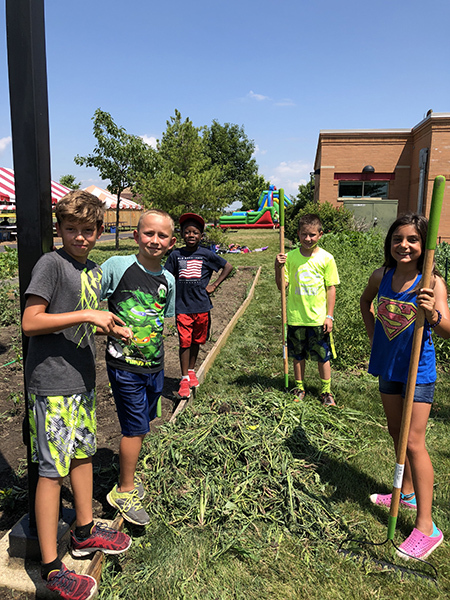 At camps in Plainfield and Morris, for example, children have the option to try healthy foods grown in the Y’s very own garden and take home healthy recipes to share with their friends and families. 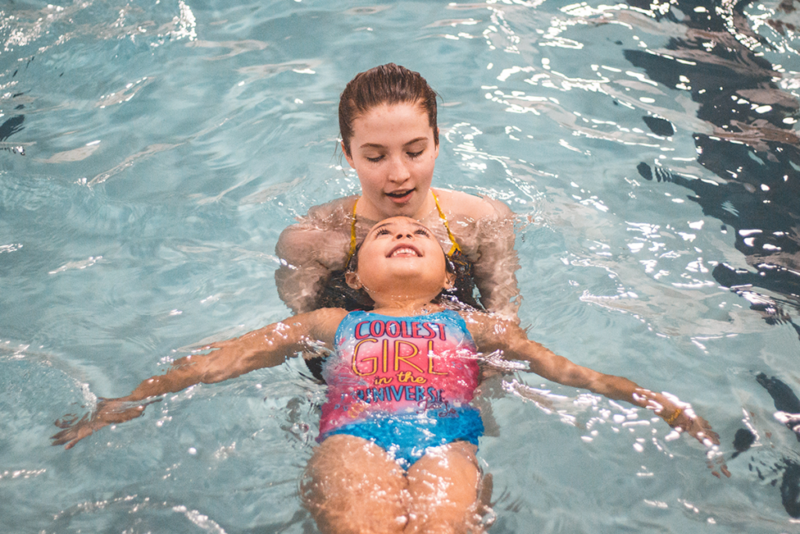 To incorporate the right amount of physical activity, camp participants have the opportunity to partake in a variety of physical activities during sports camps and swim time. Registration for Y camp is underway! To learn more about our summer camp opportunities, visit www.jolietymca.org or speak with your local Y’s Youth and Family Director during your next visit. To learn more about the benefits of sending your child to summer camp, click here. March is National Nutrition Month, which focuses attention on embracing good eating and physical activity habits. With the help of social media, it’s extremely easy to discover new ways to revitalize your workout routine and diet—including some not-so-healthy diets. In celebration of National Nutrition Month, consider choosing a well-balanced diet as opposed to a new fad diet. Fad diets are not new. 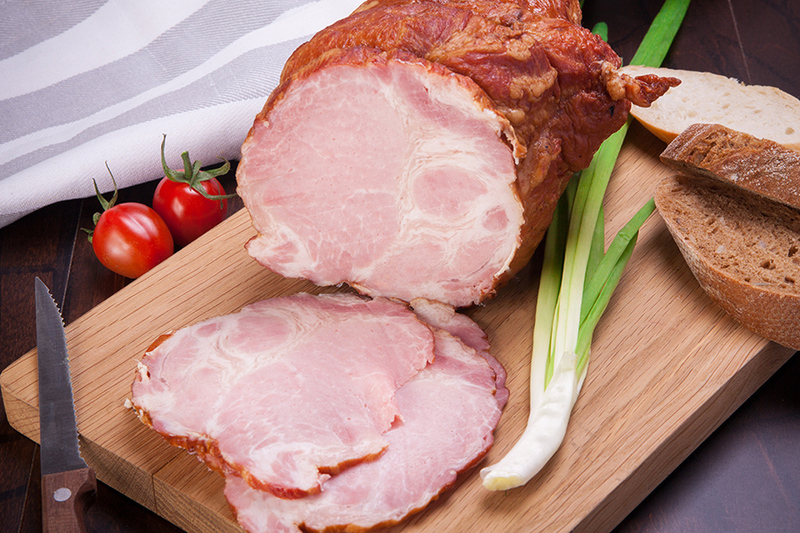 In fact, it’s said that these trendy diets have been around since the 1930s. For many years, people have wanted a quick and easy solution to lose or maintain their weight. And, because fad diets tend to promise fast weight loss, many people are willing to give them a try. 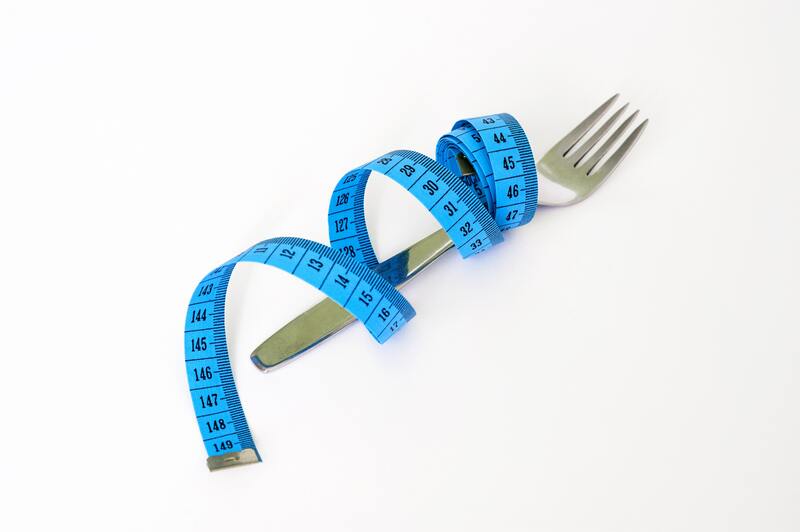 But, there is more to these diets than just rapid weight loss. A diet that is highly restrictive and focuses solely on weight loss can be harmful to your overall well-being. Instead of focusing on a quick solution to achieving your weight loss goals, try embracing a healthy lifestyle. 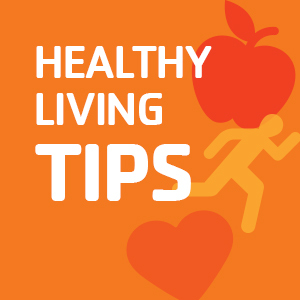 A healthy diet with the right amount of physical activity will help to improve your overall health. If you’re thinking about transforming your diet, consider making small changes, including drinking plenty of water, limiting saturated fats, eating a good amount of fruits and vegetables, and limiting your sugar intake. Once you develop a healthy diet, be sure to incorporate the right amount of physical activity into your weekly routine. Making changes to your diet and exercise routine can be challenging, but the Y has wellness attendants, fitness instructors and personal trainers to help you along the way! If you have questions about your nutrition or if you’re looking to make modifications to your diet, be sure to speak with a member of our Wellness team during your next visit. And, make sure to consult your physician or other health care professional before starting a new diet or fitness program. To learn more about how you achieve a well-balanced eating plan, check out this article, courtesy of the CDC. More than 60 first- and second-grade students entered the Smith Family YMCA pool deck on a Monday. Some of them had never stepped foot in a pool. Many had no previous swimming experience. But these students, hailing from Fairmont School District in Lockport, came ready to learn—that was clear by the excitement, laughter and energy that filled the air. By Friday, each of them completed their first week of swimming lessons. Day by day, they developed critical water safety skills, slowly but surely becoming strong, confident swimmers. Lessons were held for an hour each day, all free of charge through a YMCA outreach program called Project SOAR, or “Smith Opportunities for Activities and Recreation.” Since launching in 2008, SOAR has provided more than 10,000 swimming lessons for area youth by partnering with neighboring community organizations and schools. On the first day of lessons, every participating Fairmont student received a brand new swimsuit. Each swimsuit was individually picked and donated by Cheri Rubocki, a longtime YMCA member and volunteer who sits on the Greater Joliet Area YMCA Metropolitan Board of Directors, and her daughter, Savannah, who formerly swam for the Joliet Y JETS Swim Team. To accommodate the large group, the Smith Family YMCA enlisted staff and volunteers from within its parent association, the Greater Joliet Area YMCA. Senior Vice President and Chief Operation Officer Katy Leclair, a lifelong swimmer who started her Y career as an aquatics coordinator, was one of 15 instructors to lead the daily lessons.